I saw earlier in the week that it was #NationalUpcyclingDay today, and while there seems to be a day for everything now - yesterday was National Pink Day (!) 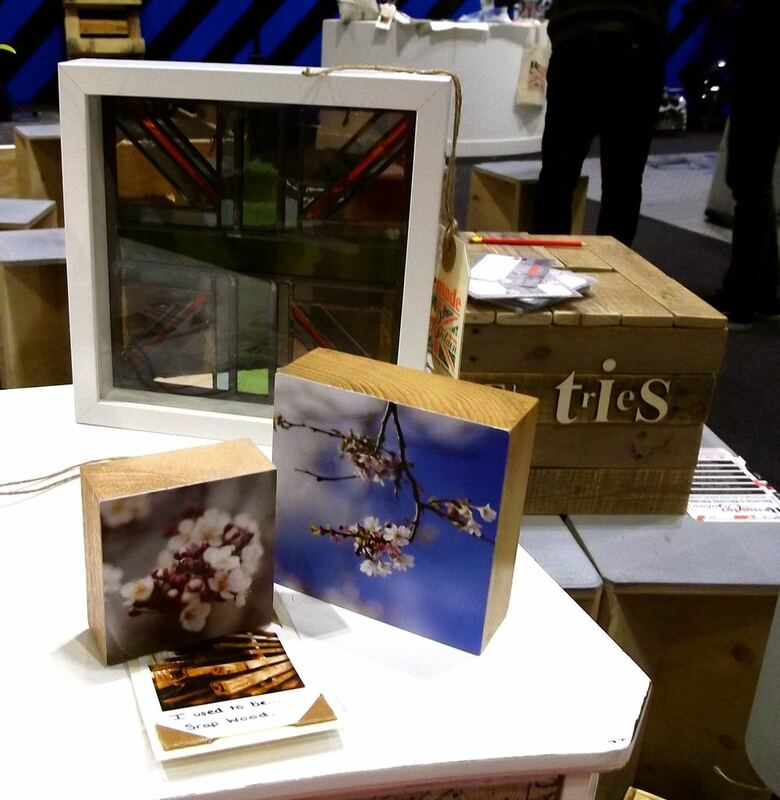 - the upcycling one reminded me of a display by Remade in Britain that we saw at Grand Designs Live back in May. So I thought I'd dig out those photos and share them with you today. 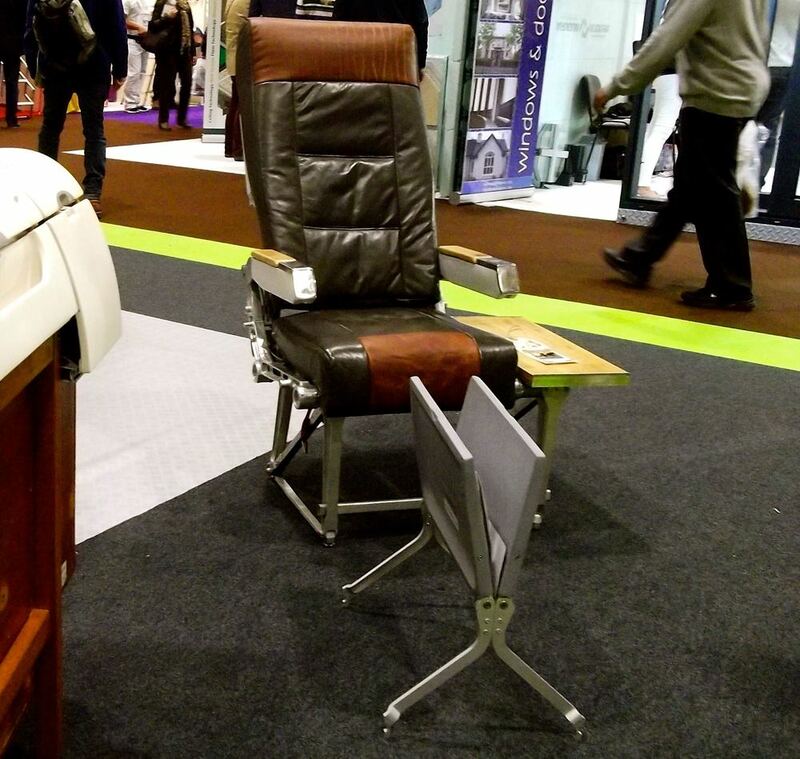 You've probably seen airline chairs as easy chairs before, we watched a programme recently on how various parts of a plane could be reused. And yes that magazine rack is made of the tables that flip down often when you don't want them to on a plane. In the right space both of these would be quirky additions and definitely a talking point. And for this one at least there won't be the person in front that insists on reclining their chair all the way back! Some leaded window artwork and pictures glued onto scrap blocks of wood which made an effective paperweight and picture, and would be a good and relatively cheap way to introduce some pictures into a room. My favourite was the demijohn lamp, with its funky cord and matching lampshade I think this would also be a cost effective way of having a unique lamp. The drunken Jaegermeister bottle made me smile too, now repurposed for oils and vinegars it'd look great for those al fresco meals when the weather warms up again. This chair also caught my eye, it'd been decoupaged with vintage papers which gave it its unique look. With a coat or two of varnish this should be hardwearing enough for regular use, but wouldn't it just look great in a home office?